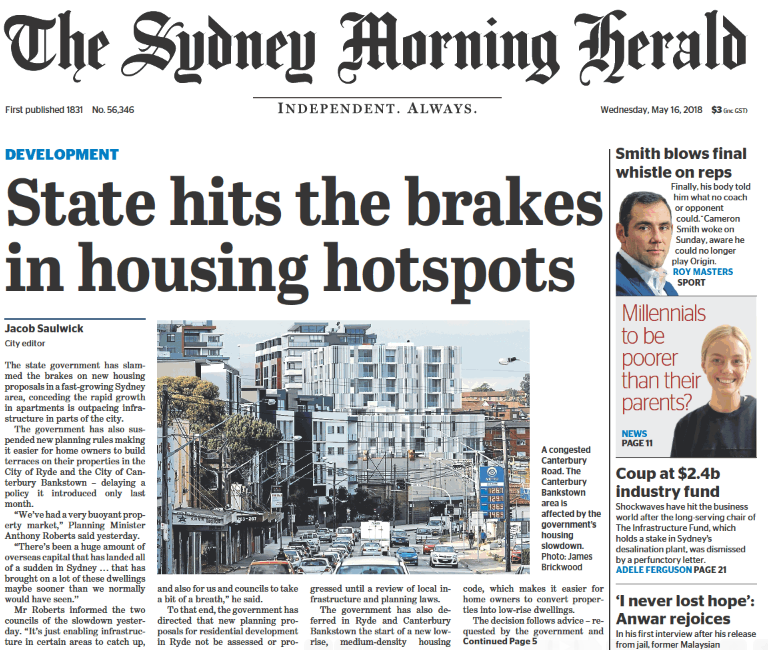 Front page of the The Sydney Morning Herald today: the NSW Government is putting a stop to the development madness here in Ryde, New South Wales. As reported on the front page of the Sydney Morning Herald today, almost 75% of new dwellings built in Ryde in the past decade were approved directly by Ryde Council. 24% were approved by the former Labor Government under their Part 3A Planning regime. Enough is enough – this has to stop.